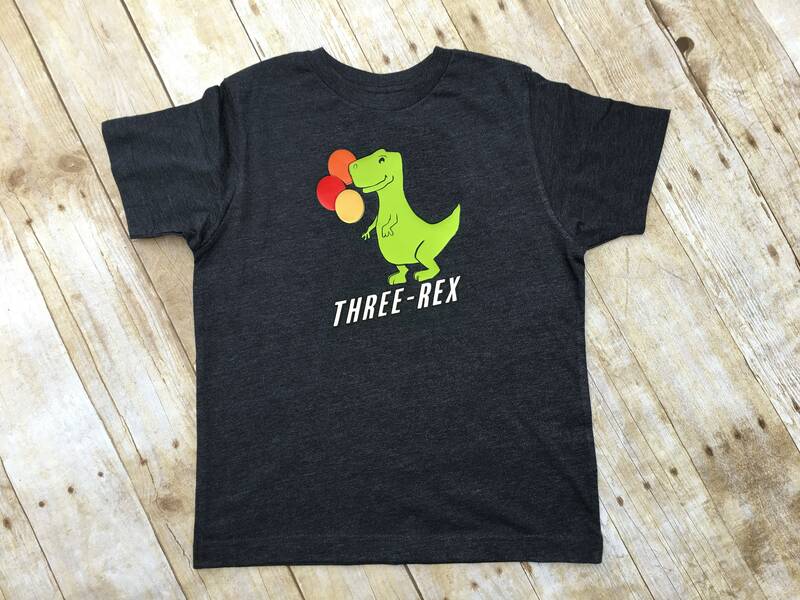 Three Rex Shirt. Boys Birthday shirt. 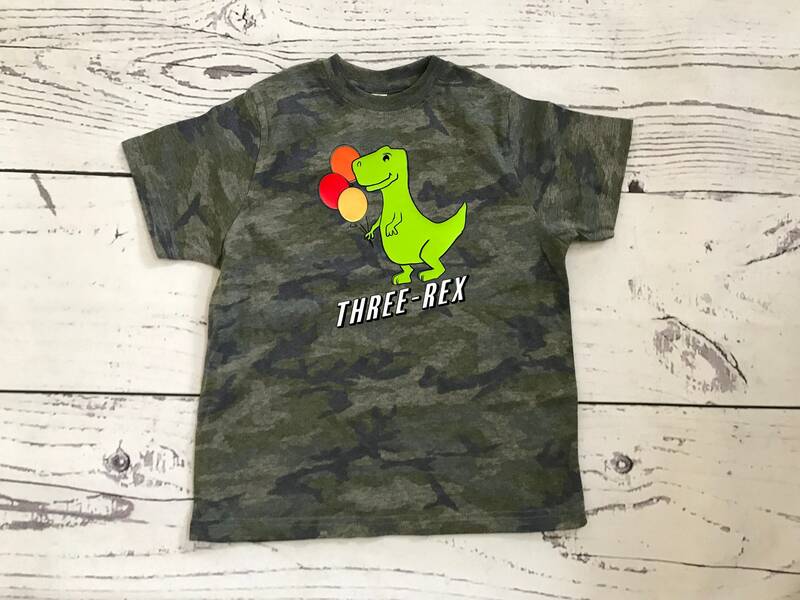 Dinosaur Birthday Shirt. 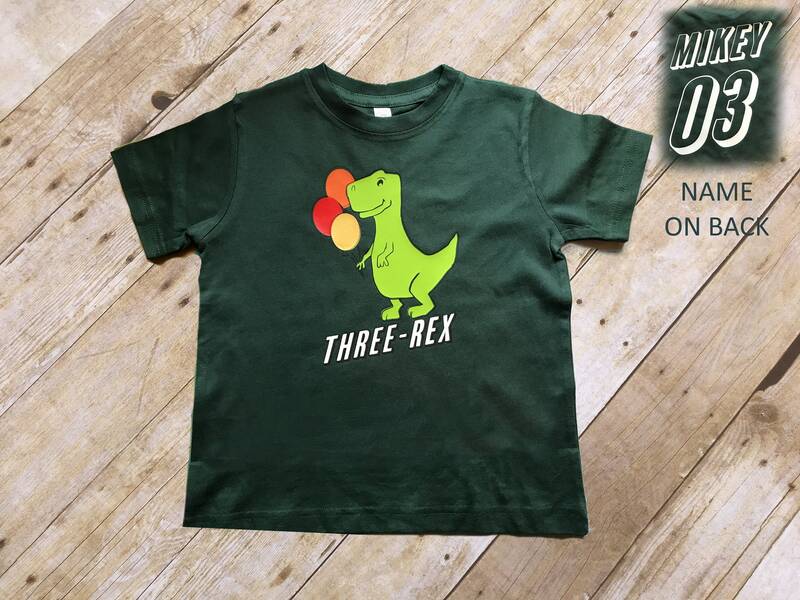 Tyrannosaurus Rex shirt. Dinosaur Birthday theme. Customize name ! I use high quality apparel, high quality heat transfer vinyl and a heat press to ensure longevity. 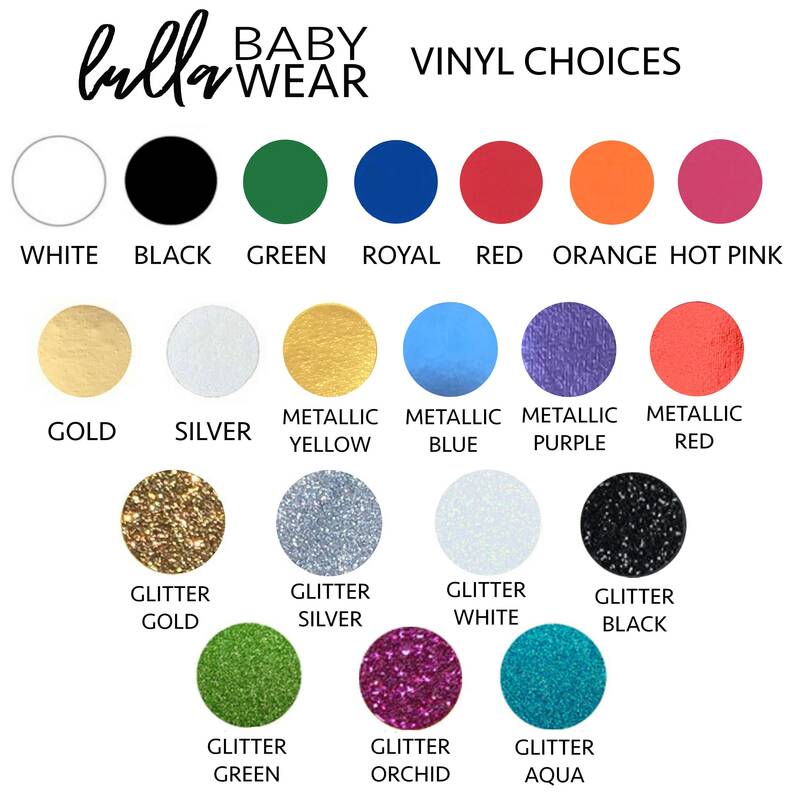 Please specify the vinyl color you would like in the notes to seller at checkout. If you do not, I will choose which color vinyl best matches the shirt, or as seen. Current ship time is 3-6 business days. 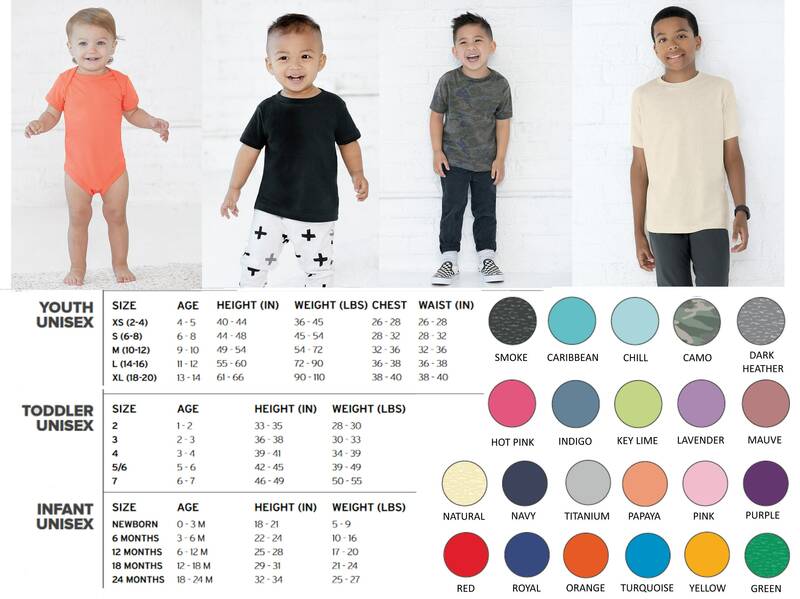 **Rush order please confirm item availability: message for color choices in the size you need, that I can ship same/next day! I respond fast! Please message me with any questions. Each listing has additional photos that provide sizing information and color choices. Please contact me for more specific sizing information if needed. I love creating custom designs! All custom order pricing is based on the style of shirt you are interested in. In addition a $5 custom design fee may apply. What is your shipping time frame? My current time frame is 2-5 business days. Rush options are available! If you choose a rush option, you must verify that I have the size and color you are interested in on hand to ship same/next day.